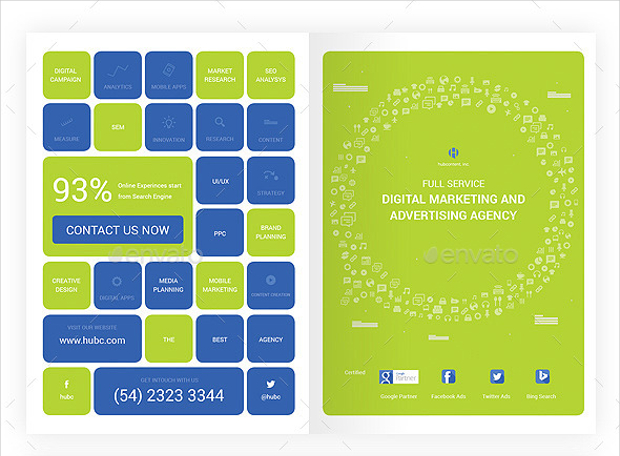 The usage of print media as tools of advertising has all along been there with us. 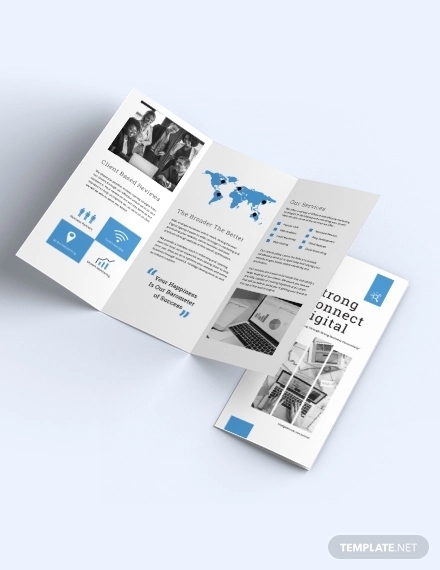 Brochures are used the world over and in virtually every field by individuals and corporate entities to publicize their products, services or events. 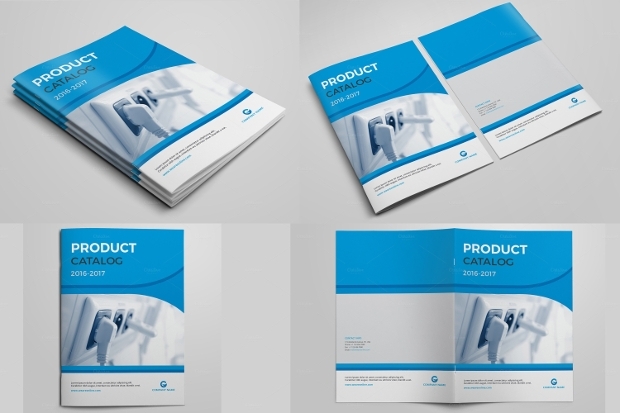 A professionally designed Product Brochure can be a very convincing way of branding your product to potential customers. 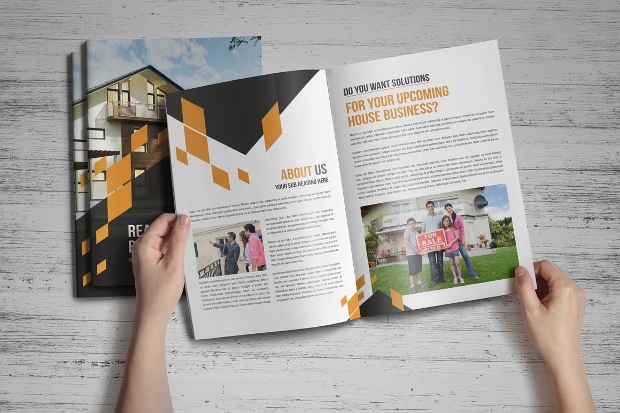 Remember, not every other brochure design out there can work for you. 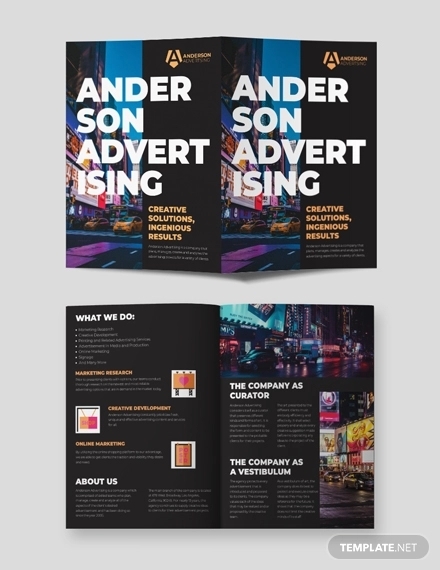 And, it is for this very reason that we have compiled this collection of awesome advertising brochure designs for you. Enjoy! 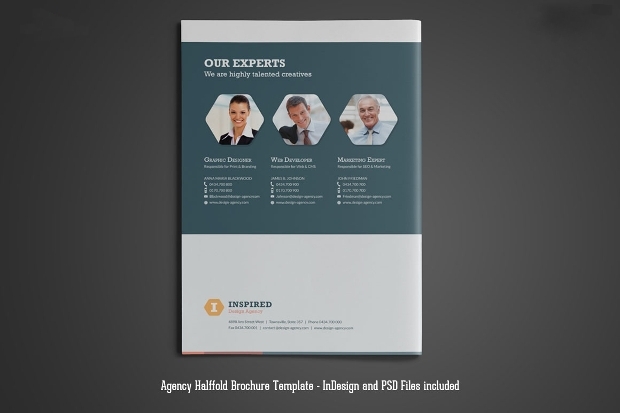 If you are running an agency, this 4-page brochure can suffice your promotional needs. Modification of this template is easy thanks to its layered objects. You can modify colour, images, size or text to your own style. The design is available in A4 size with 3mm bleed. 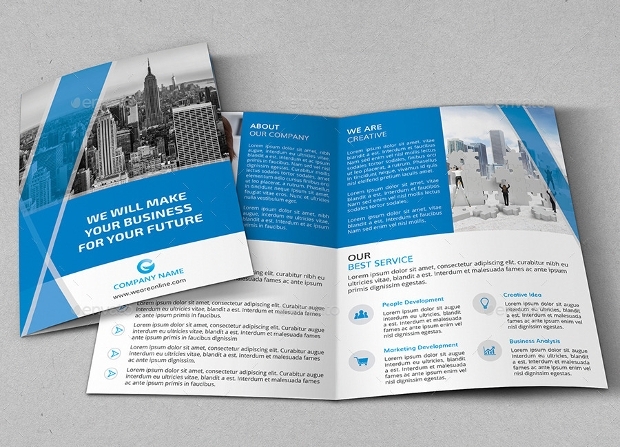 This company brochure template comes with an exceptionally clean and simple layout with a touch of modernity. 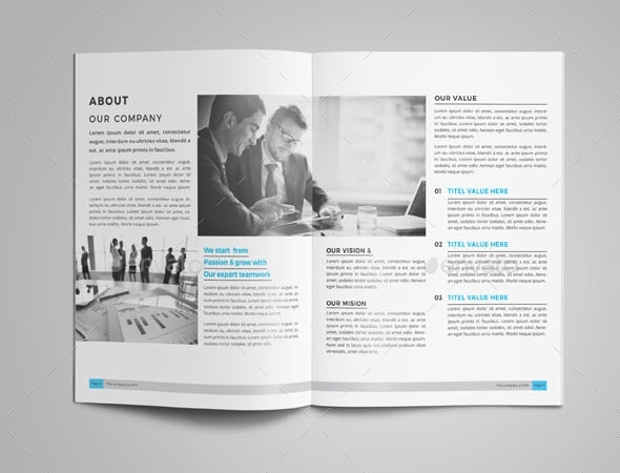 You can use it to present your company’s profile or annual report to customers and potential clientele in a more professional manner. Customizing it is really simple. 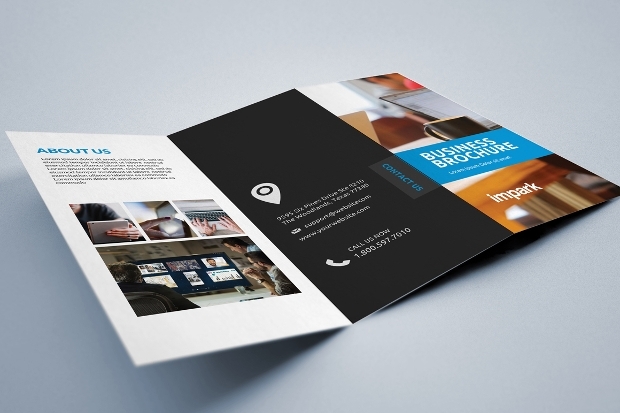 This Bi-Fold Brochure design is quite versatile. 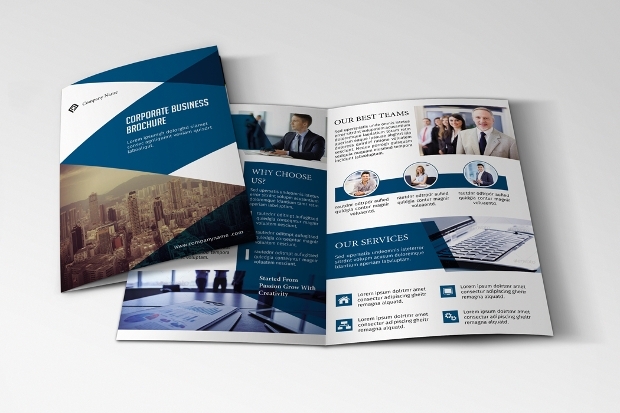 You can use it to publicize your business, present your business proposal, etc. It comes with a remarkable resolution of 300 DPI and CMYK color mode. 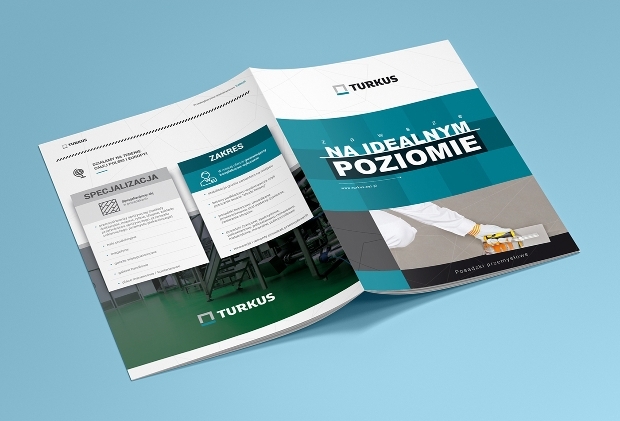 It is available in downloadable PDF and INDD files. 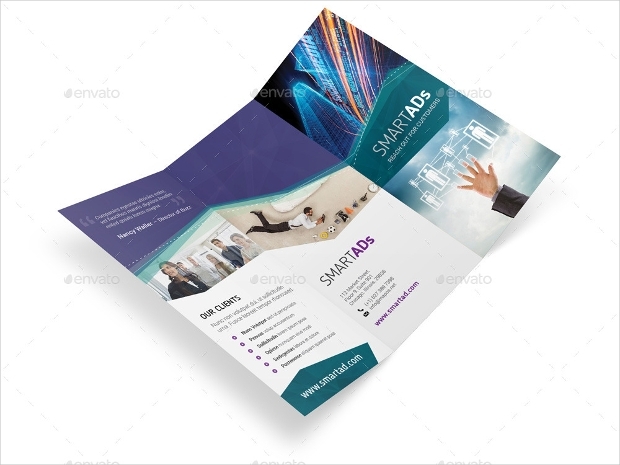 The neat and contemporary look of this Tri Fold Brochure makes it perfect for use in your assorted advertising or marketing works. You can design it in A4 and US letter sizes. It is obtainable for download as PSD, AI Illustrator, INDD and Vector EPS files. 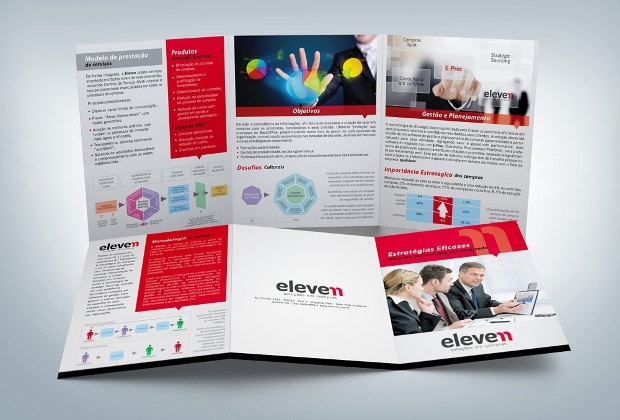 The tremendous resolution of this Tri-Fold Brochure makes it really gorgeous. 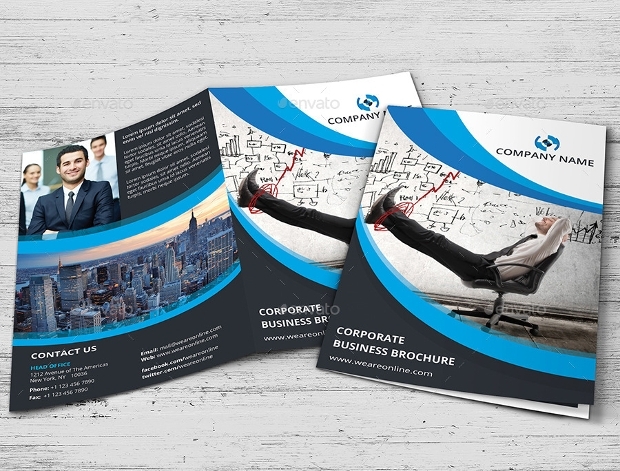 You can use the design to promote your procurement company or just about any business in a more professional manner. You can modify its elements without difficulty. 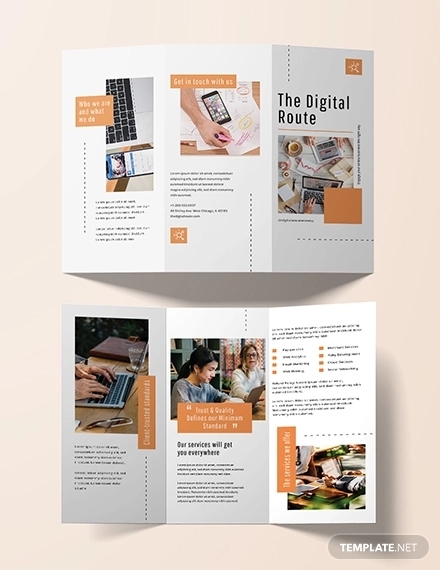 The layout of this brochure design looks stunningly neat and simple. 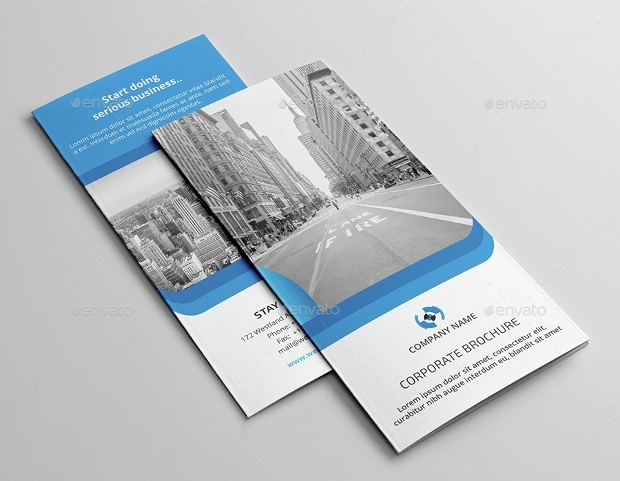 The blue-white color blend used in the design depicts a sense of professionalism. 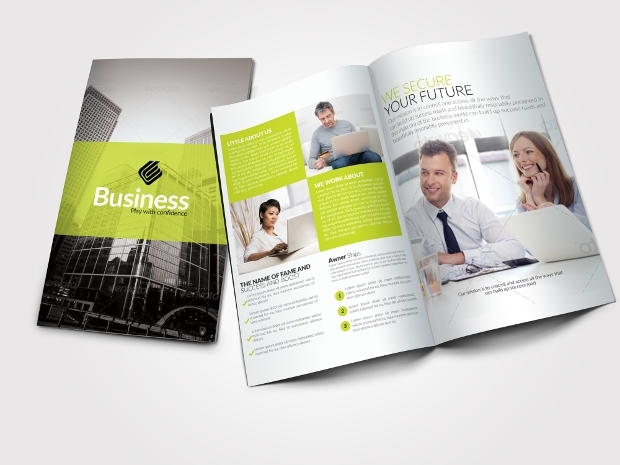 Although it is ideal for your corporate business advertisement, you can use it for advertising just about any business. 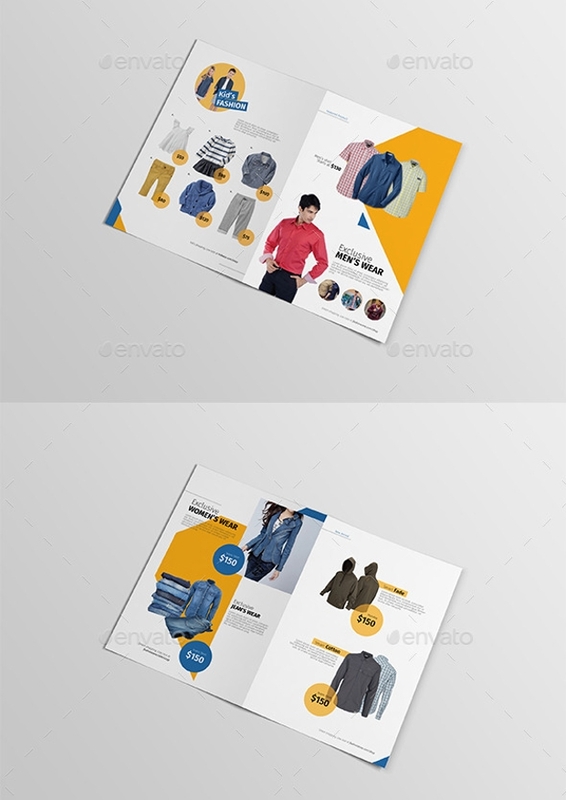 This A4 brochure design comes with an amazingly neat layout, an attribute that makes it suitable for branding your fashion-related business. It comes in outstanding 300 DPI resolution and is print ready. You can get it as AI, EPS and PDF files. 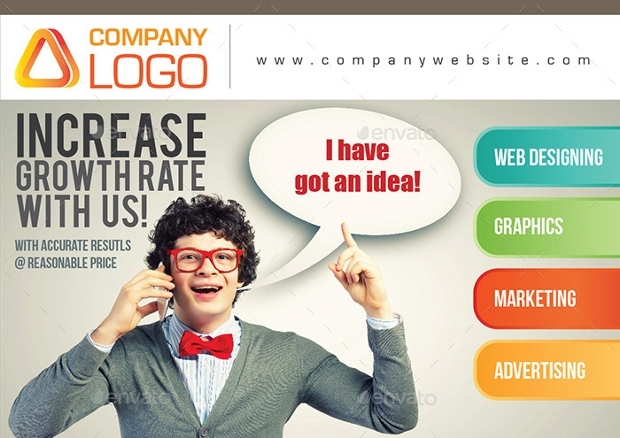 Want to give your corporate advertising some vintage look? 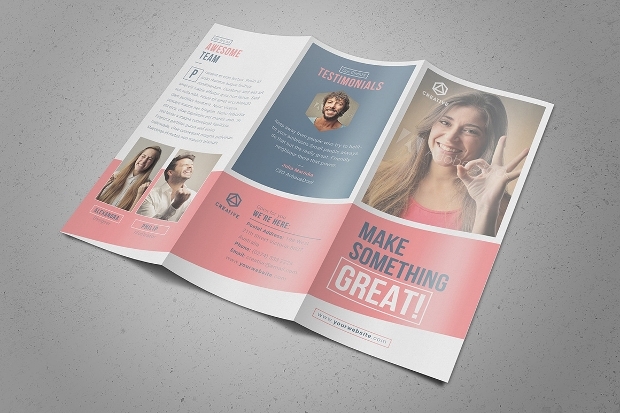 Then, this brochure template could go quite well with you. It is available in two PSD files with smart objects for easier editing and customization to your own standards. 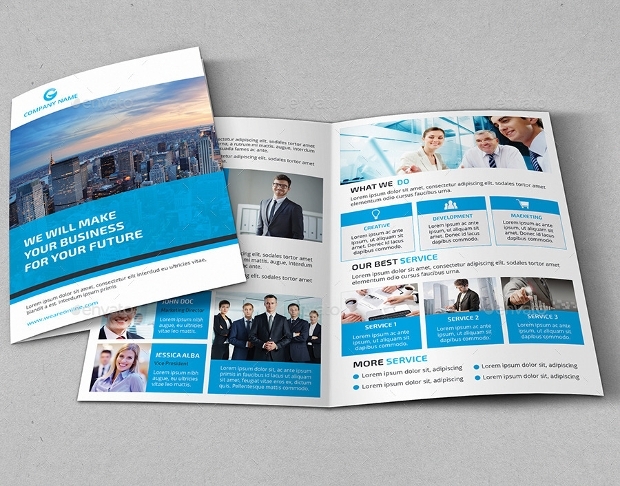 With this print ready brochure format, you are likely to commence your corporate business advertising within no time. It comes in a remarkable 300 Dpi resolution and CMYK colour mode. You can download it as PSD, AI or INDD file. 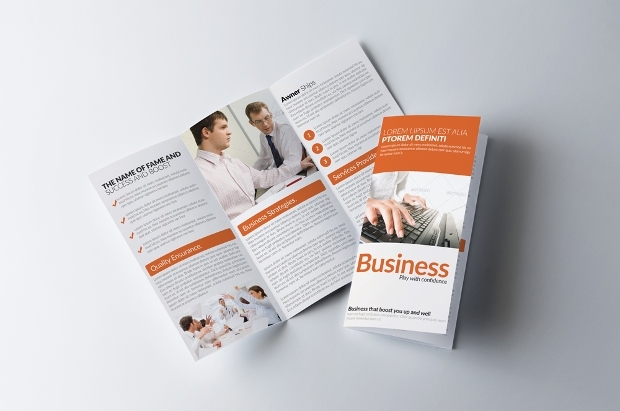 Small business owners often find it difficult to brand their businesses effectively but, not with such a great advertising brochure design at your disposal! 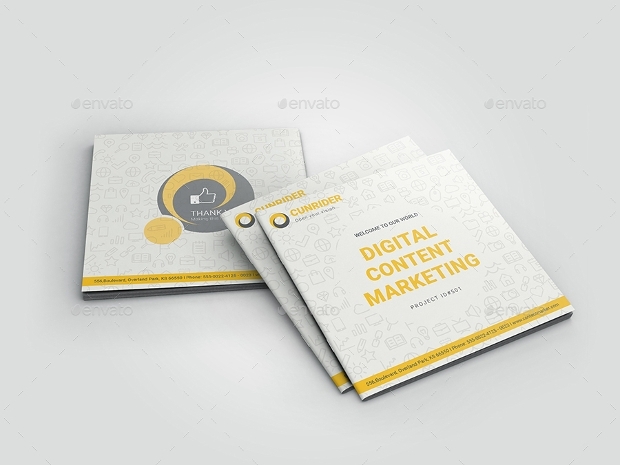 This clean, fully layered, customizable design can really elevate your small business to greater heights of success. 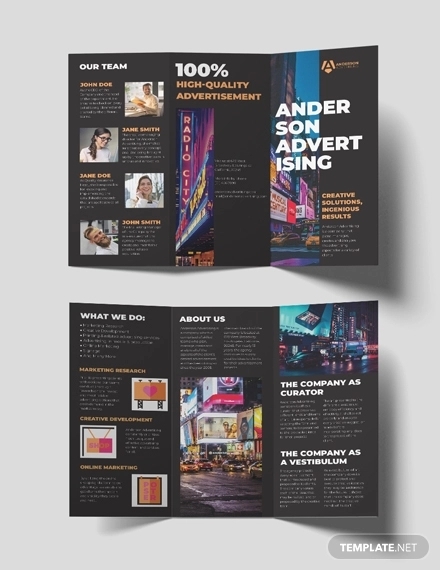 Making use of the above advertising brochure templates will not only make your work easier but also save your precious time. 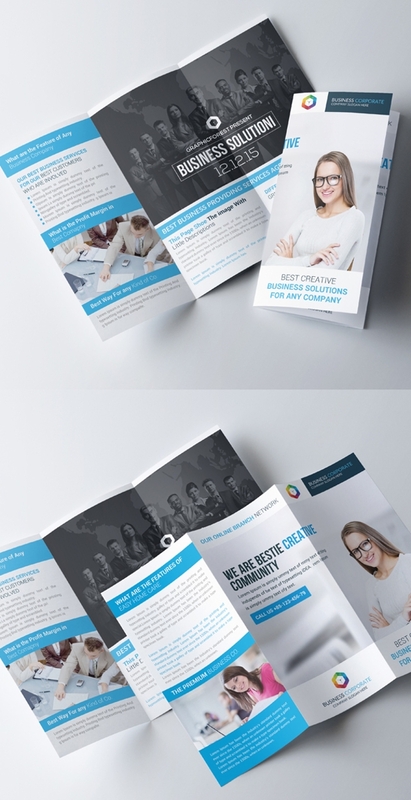 Just pick your favorite design and use it to create your good-looking Company Brochure that will help promote your business to clients in the most appealing manner. Enjoy your advertising!